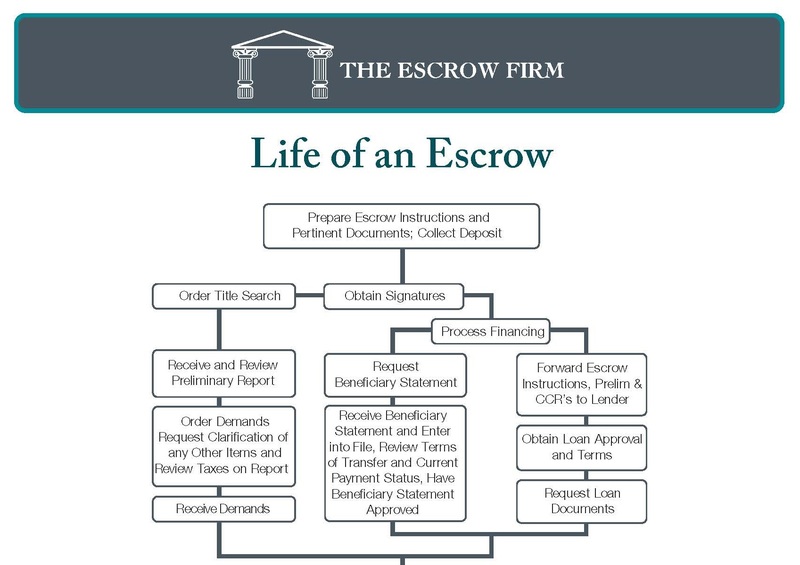 Life of an Escrow charts the flow of an Escrow, so you know what to expect each step of the way! 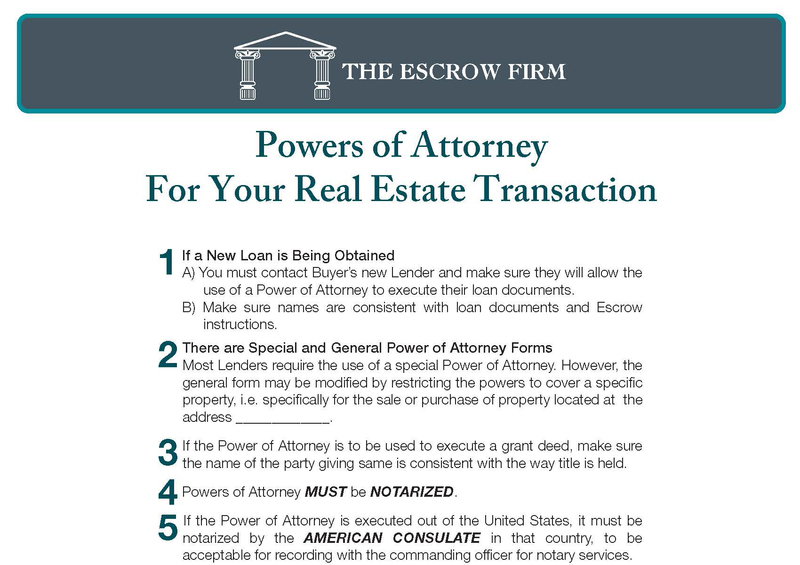 See how Powers of Attorney can play a role in your Escrow. 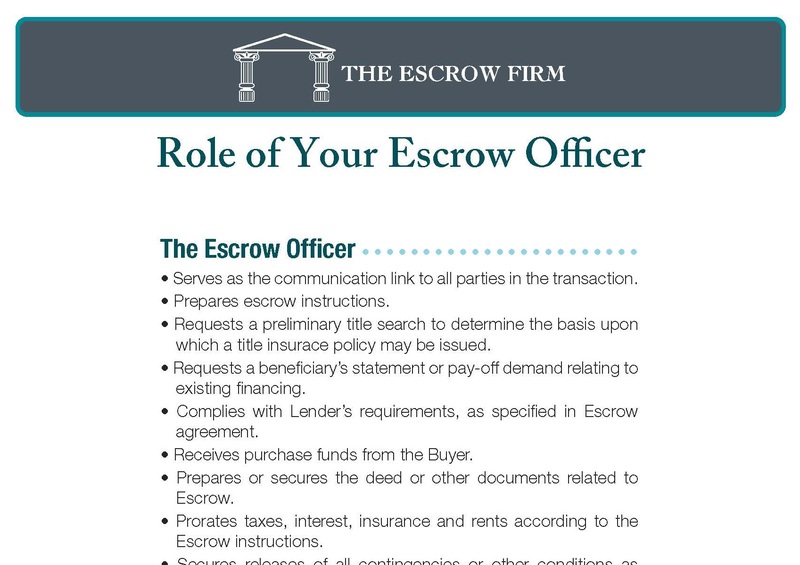 Understanding the Role of Your Escrow Officer can help immensely as you go through the Escrow Process. Understanding Closing Costs can be confusing. 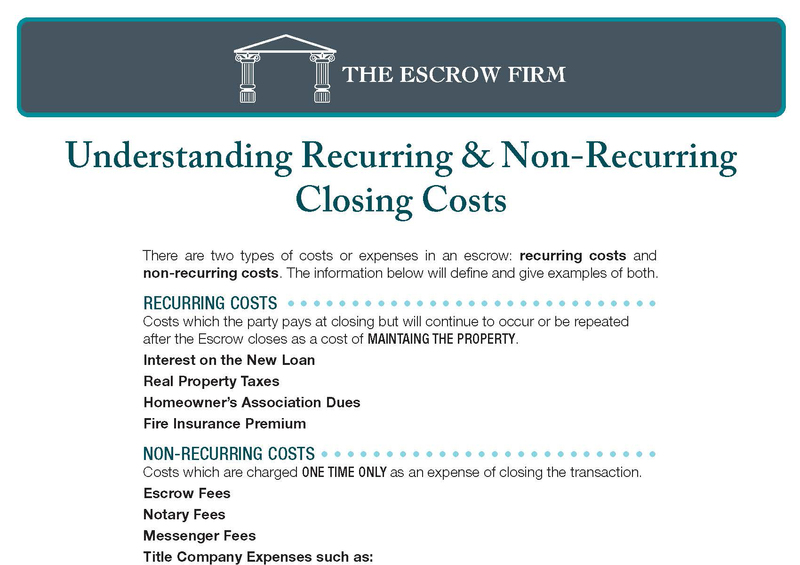 This piece breaks down what recurring & non-recurring costs occur in Escrow. 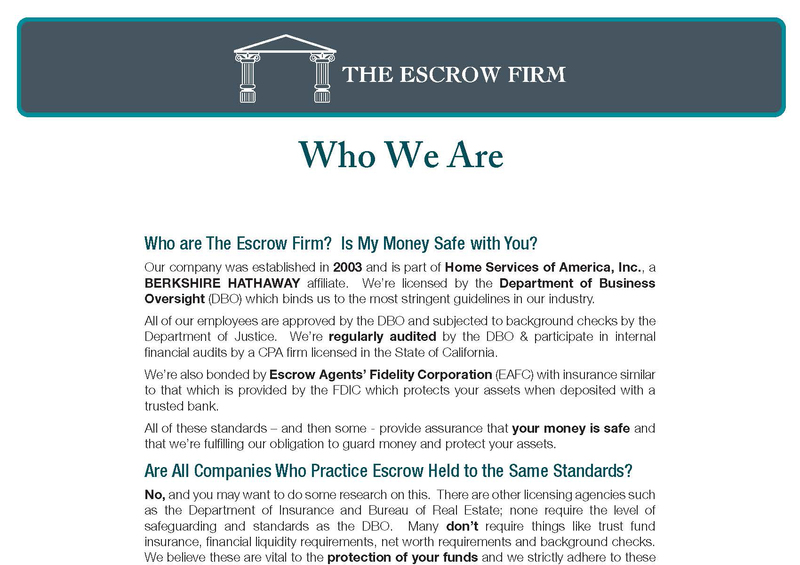 Who We Are is a great piece to educate clients on who The Escrow Firm is and why we are a leader in the industry. 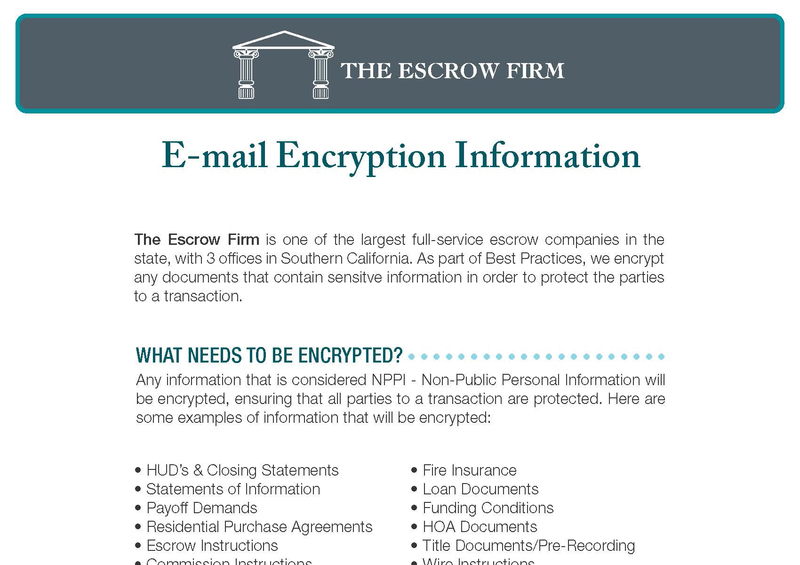 Our Encryption Information flyer has all you need to know about why we encrypt sensitive information and how we protect our clients! 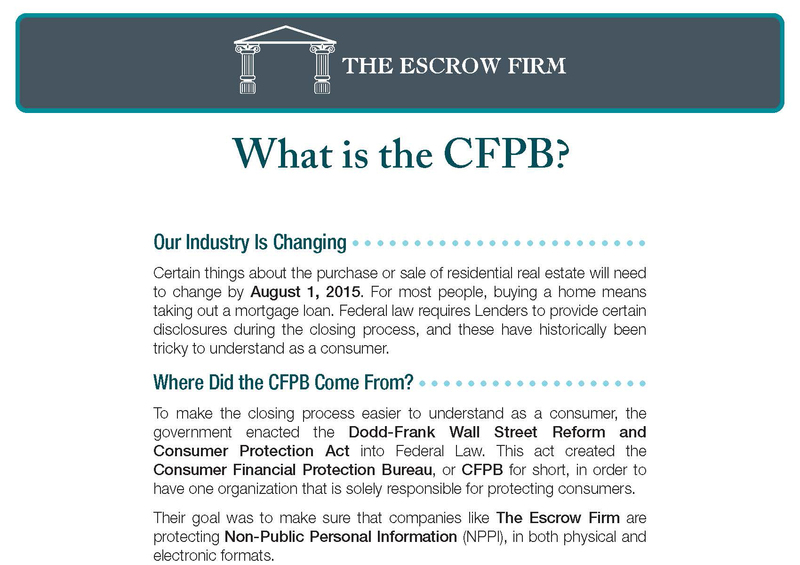 Learn what the CFPB, or Consumer Financial Protection Bureau is and how it may affect your Escrow. 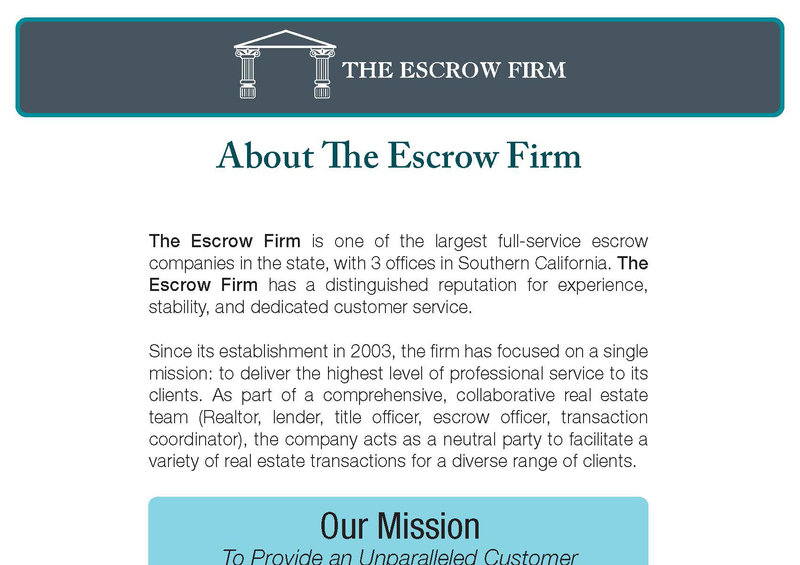 The Escrow Firm has been in business since 2003 - see why and learn more about us here! 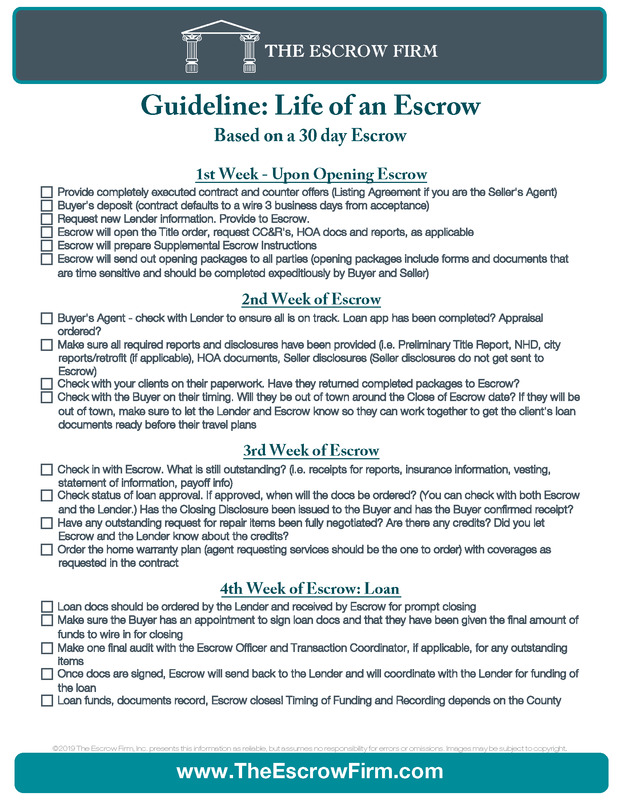 Guideline-Life of an Escrow shows what happens each week in a typical 30 day Escrow. 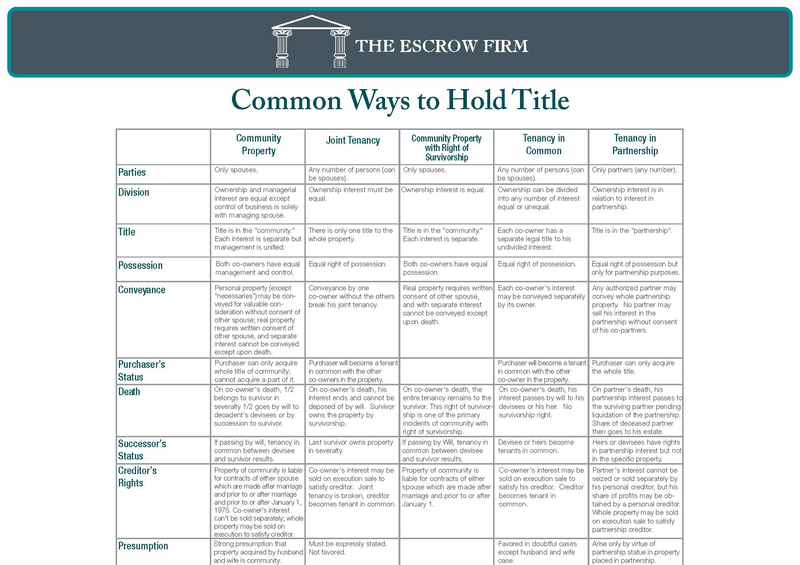 See the Common Ways to Hold Title with this quick-reference chart! 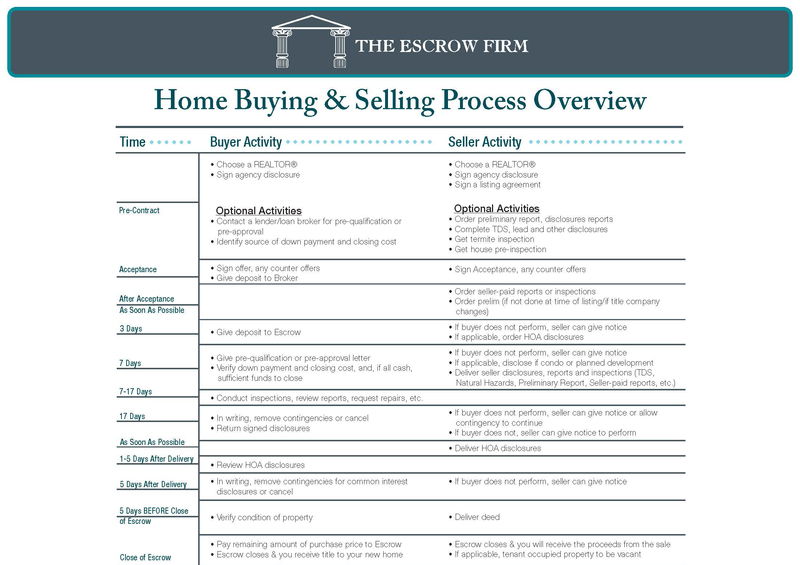 Buyers & Sellers alike can use our Home Buying & Selling Overview to see how the process works on each side. 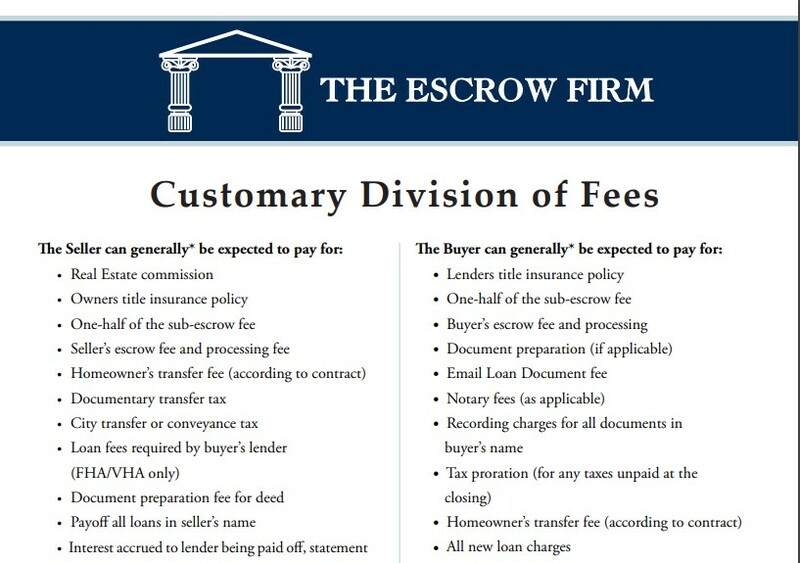 See what the Customary Division of Fees are, so you understand what the buyer and seller are responsible for during the Escrow Process.